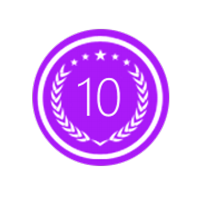 10 Best PR is a company passionate about discussing public relations companies that operate in excellence. For this reason, the company is pleased to launch its monthly Best Public Relations company award to acknowledge exemplary San Francisco firms within the field. 10 Best PR is pleased to announce the arrival of a new monthly award: Best Public Relations Company. This award is designed to acknowledge top-notch public relations companies that have worked with dedication and diligence to help clients take their relationship with the public to a new level. Of the top San Francisco public relations agencies that 10 Best PR has chosen to honor, Big Picture PR stands out as an obvious excellent firm. This company specializes in providing clients with a wide range of brand-building services, some of which include media relations strategy, product placement, launch strategies, events, brand strategy, experiential marketing, editorial previews, content development, design consulting, celebrity licensing, influencer engagements, brand liaison, blogger engagement, and campaign video production. The professionals of the company have extensive experience in working with business owners within the following sectors: health and beauty, fitness, design, lifestyle, fashion and accessories, and parenting and youth. Trier & Co., another amazing public relations company, was also honored to land on 10 Best PR’s list of illustrious firms. This top San Francisco Public Relations Agency provides clients with multiple marketing methodologies that enable them to improve their visibility and conversion rates in the online and offline sectors. By utilizing social media and digital advertising strategies in conjunction, the PR professionals of Trier & Co. are successful in enabling clients to interface with their target audience in a manner that optimizes the relationship-building process. By consistently offering excellent, customized branding services that optimize curiosity about the business owner's products and services, the company's professionals are successful in improving the client's bottom line. Another San Francisco PR firm that made the Best PR Company list is Spritz. As a leading public relations company, Spritz utilizes cutting-edge marketing strategies to optimize connectivity and conversion. When the organization was founded back in 2009, Spritz representatives with internationally recognized brands like the Sonoma International Film Festival, Hard Rock Cafe, and Madame Tussaud's. The company specializes in analyzing contemporary trends and utilizing this data to keep the client's online and offline image as cutting-edge as possible. The professionals of Spritz also maintain a client-centered outlook which ensures that the business owner's vision and values always come first. For more information, visit http://www.10bestpr.com.